When thinking about audio visual solutions, you may find your thoughts automatically go to movie theatres, boardrooms and schools. After all, they are often considered to be the only places that can afford such technology. According to many they’re the only places that need such technology. Despite these old assumptions, audio visual solutions in Brisbane have now shifted to include the domestic home environment. 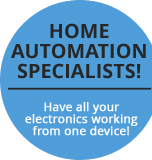 Just as our name suggests, we at AV Everything have everything you need to create your own integrated smart home. But why are audio visual Brisbane-based solutions so popular now? Read on to discover why. 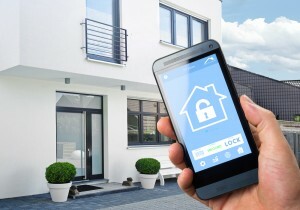 Nowadays, any person who owns a home can easily have an integrated smart home. From advancements in technology to cheap and affordable prices, audio and visual solutions aren’t just for the rich anymore. The main reason why it has become easier for the average Joe to own an integrated smart home is because it has become so much more affordable. Several years ago, home theatres and surround sound could only be afforded by the richest of people. The average person could only ever dream of having the perfect audio visual set-up. Luckily, high demand and the reduced price of the technologies have led to these audio visual solutions coming out into the mainstream market. Now, almost anyone who has the desire for audio visual Brisbane-based solutions can afford them. Another reason why audio visual solutions have reached a wider audience is due to the continuous evolution of technology. Not even 10 years ago, the idea of using your phone to control an entire home, including sound systems, TV screens and DVD players, would have seemed impossible. But thanks to improvements in technology, integrated smart homes are now a true reality and solutions for audio visual Brisbane-wide are easy to find. Another reason why audio visual solutions are for everyone is because there is a huge demand for them. Why is there such a big demand for these products? It’s all about the comfort and convenience of having a quality audio visual system in your very own home. After all, why go out to a movie theatre when you can see a movie in the comfort of your own living room? Why try to put up with poor-quality volume when you can include an amazing surround sound system in your home theatre? Why fiddle around with several remotes, losing them or running out of batteries when you can control your entire audio visual system with just one, common device? As you can see, audio visual solutions are not just for the rich or for big businesses. Now, your house can become an integrated audio visual smart home. What can AV Everything offer you in the way of integrated smart homes? We offer only the best in audio and visual solutions, including the best in surround sound, TV mounting, home theatres and home automation. Create the home of the future you’ve always wanted to have, but never thought you could afford. Surround sound systems are not just for movie theatres anymore. We at AV Everything can provide you with the perfect surround sound system for your home. Not only can we supply you with audio solutions, we can easily install a surround sound system into your home, providing movie-quality sound every time you watch TV. The best part is we supply you with only the best surround sound system brands, so you’ll be guaranteed to have crisp, clean sound every time you turn on your system. Never again will you have to go to the movies in order to listen to quality sound. Just sit back, relax and enjoy your new audio system. For many, installing a television just means placing it on a surface and plugging it all in, but what if you want more? What if you wanted to mount a TV on the wall for a fantastic home movie theatre, or for a perfect private screening in your bedroom? At AV Everything, we provide TV mounting and installation to help turn your house into an integrated smart home. With the help of TV wall-mounting professionals, AV Everything can help install your TV easily and safely, no hassle, no dodgy dealings. What’s more, if it’s a new digital TV, we can provide you with all the information you need to get started, from turning the TV on to setting it up the way you want it. Create the perfect visual experience by including a mounted TV in your integrated smart home. At AV Everything, we don’t just supply surround sound and install television sets, we can also turn your living room into the home movie theatre of the future. This includes offering solutions for cable concealment and organising your home theatre to ensure quality sound and perfect visuals. We can also set up other devices included in your home theatre, including Blu-ray systems and visual projectors. We do all the installation for you, too, so there is no need to worry about frustrating set-ups. What’s more, we are also available to offer you advice on how to use and set up your home movie theatre.Make your integrated smart home complete with a fully furnished home theatre. The modern, integrated smart home is all about having control over everything with one simple device. How is this possible? 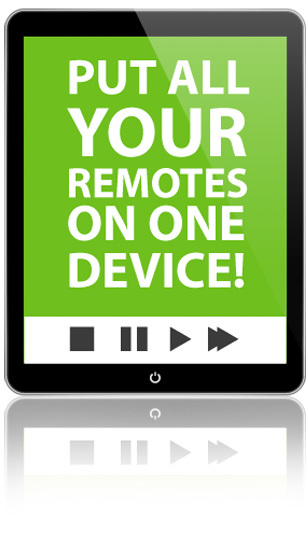 With the use of your own existing technology, such as an iPad or iPhone, you can turn your device into a multiuse smart remote. From controlling your TV to adjusting the sound system to controlling your Blu-ray system, your smart device can provide you the accessibility usually provided by several remotes. How can you get a universal remote like this? 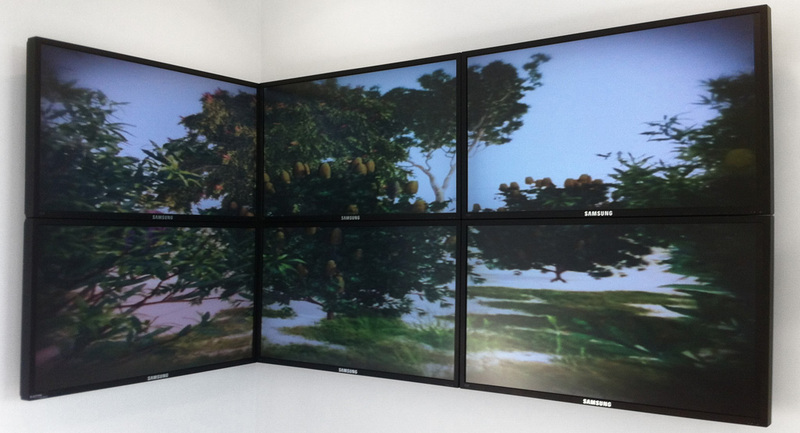 At AV Everything, we have the solution that can make your audio visual system a snap to use. It’s as simple as contacting us and allowing us to put a simple app onto your device. From this app, you can control every piece of audio visual equipment in your home theatre system. The best part is this remote control can be used from anywhere in the house. From the front door to the bathroom, your audio visual system can be controlled with a simple push of a button. This simple yet effective app is changing the lives of many home owners and turning their houses into futuristic integrated smart homes. Make your home sleek and modern by ditching the remotes and replacing them with one simple, universal smart remote, all in the comfort of your own smart device. Where will integrated smart homes go in the future? With all the current technological advances, where are audio and visual solutions in the home going to be in the future? It’s hard to say, but as technology becomes more widely available, you’ll be sure these solutions will continue to become easier to afford and more accessible. We at AV Everything will always be on top of the latest audio and visual solutions, even as technology continues to become more advanced. As we have for the past 15 years, we’ll always be available to help install these new technologies in your home and explain everything you need to know to get your integrated smart home up and running. For more information about integrated smart homes, to enquire about any of our audio visual solutions or to book an audio visual consultation, please contact us here and we’ll get back to you in no time. Quality audio visual solutions are not just for schools, offices and movie theatres. They are for everyone to use in their own homes. Nowadays, audio visual solutions are affordable for everyone, not just the rich. This is due to the evolution and easy use of technology and the lowering of the price of this same technology. There is also a great demand for this technolog. AV Everything can provide you with a variety of types of surround sound systems. These surround sound systems can enhance the quality of sound, providing movie-quality sound in the comfort of your home. We can also professionally mount TV sets on any wall in your house. We can provide you with any information you may need if you have bought a digital TV set. We can also provide home automation for your audio visual set-up. This involves utilising your own smart device to control all the audio visual equipment in your house, including your TV, Blu-ray and speakers. This can be controlled from anywhere in the house, making it convenient. AV Everything will continue to be the leading provider of audio visual solutions from now and into the future as technology marches on. Contact us today for a quote or for any information you may need.